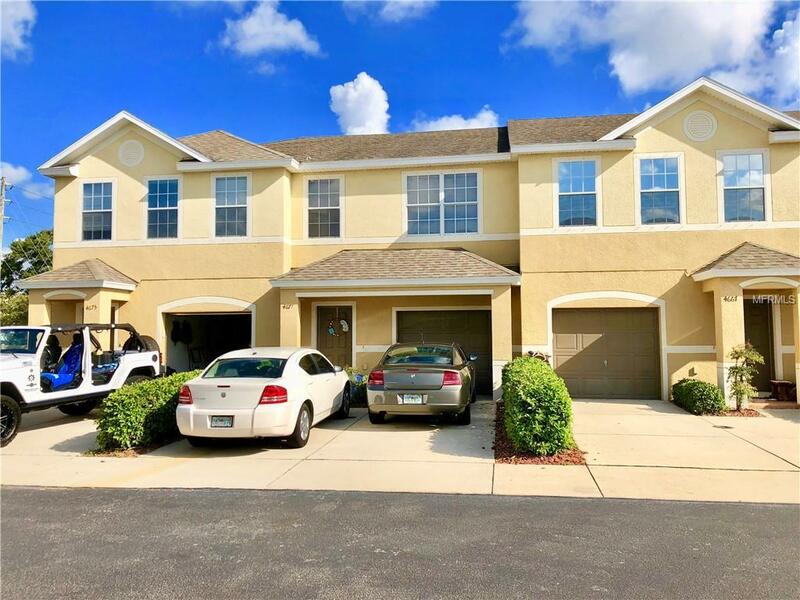 SAWGRASS VILLAGE TOWNHOME, Whether looking for your first home to start out in or great Investment property look no further. Sawgrass Village is a pet-friendly community that offers low monthly fees which include lawn care, exterior maintenance, deed restrictions, sidewalks, ample guest parking as well as gated access to a heated community pool. Conveniently located near shopping, dining, highway access, St. Petersburg International Airport, and a short drive from Downtown St. Pete, as well as the many Pinellas beaches. You will enjoy the cathedral ceiling on this desirable 1420 sq.ft townhouse. It offers a spacious kitchen with granite counter, stainless steel appliances, and a breakfast bar. The living-dining room combo overlooks a large lanai to enjoy your morning coffee or just to relax in the cool evenings. The 1/2 bath on the first floor is a convenience for you and guests. Upstairs is where you will find all three bedrooms in a split floor plan plus the laundry room. The oversized master bedroom features a walk-in closet, master bath has two sinks and double medicine cabinets, walk-in shower with and luxurious garden tub. Single car garage and the driveway accommodates two additional cars. Call today to schedule your private showing.